Today was the first day we have had condensation on the car first thing in the morning. It warmed up nicely later and promises to be hotter tomorrow. 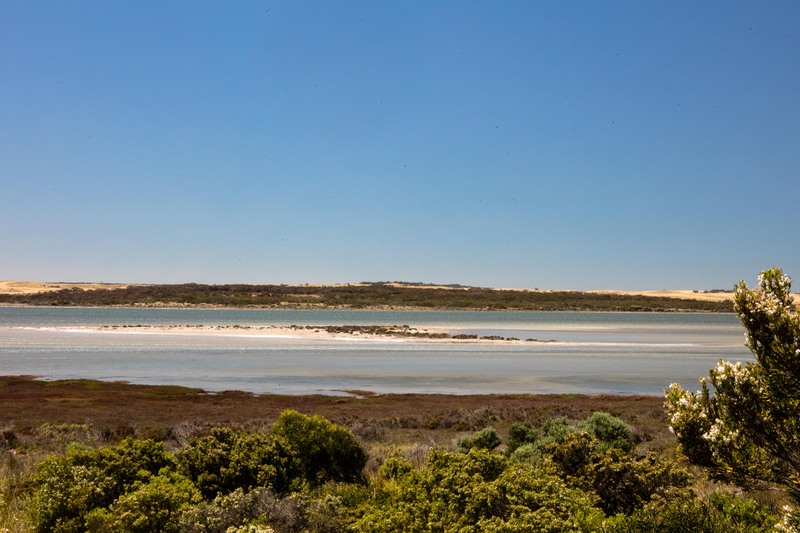 Most of the interior of the Eyre Peninsula is farmland with some bush alongside the road and some nature reserves. 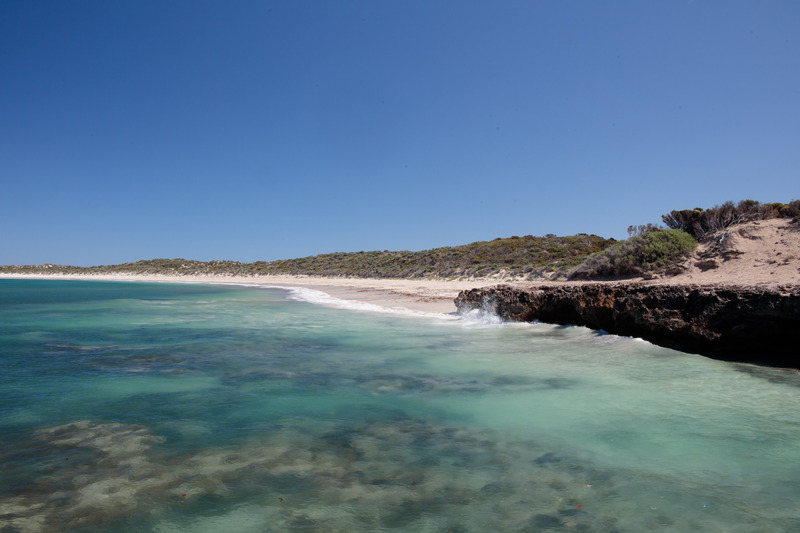 Leaving Streaky Bay, the Flinders Highway crosses land before returning to the coast at Mount Camel Beach which sits on Anxious Bay. The Bay was named by Matthew Flinders, but I have not found the reason for this name. 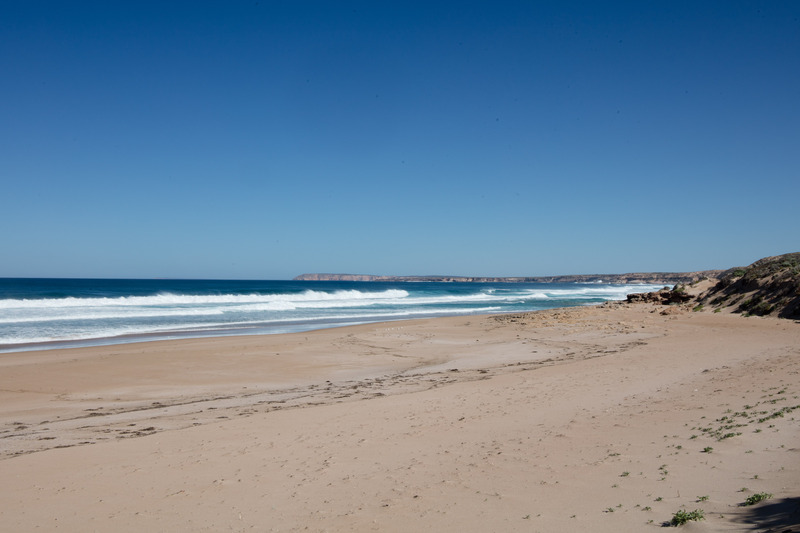 There are also views to Venus Bay further north and the rocky coast to the south. The beach was deserted when we arrived, but footprints told us that a couple of people and a dog had been there earlier. There was a notice about the local seabird populations. 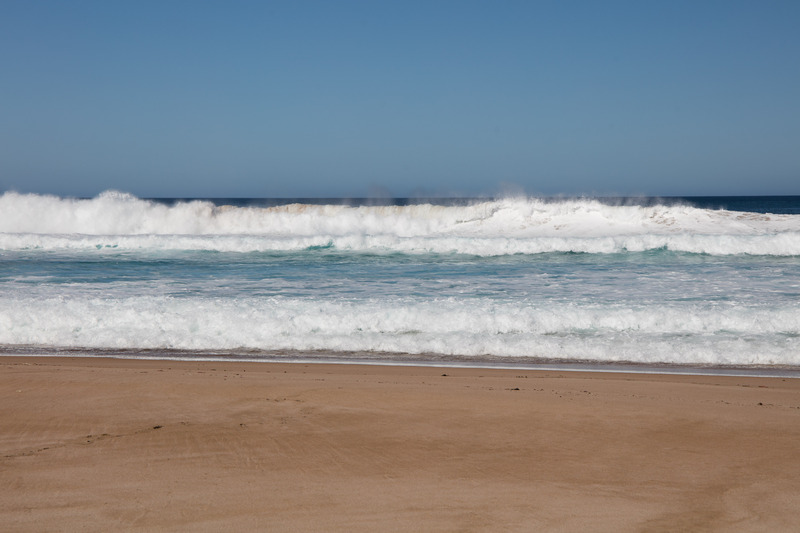 Hooded plovers are declining and the number has dropped to around 500 in SA. Habitat loss, predation by foxes, cats and dogs and human impact such as vehicles and dogs on beaches plus disturbance of breeding areas is thought to be responsible. Pied Oystercatchers are also resident, and the Red-necked Stint migrate here from Siberia every year. Visitors are advised to stay below the high water mark, keep dogs under control, stay away from birds and chicks and watch where you walk as eggs and chicks can be hard to spot. I saw a few Oystercatchers and gulls from a distance. Further south Lake Newland conservation area lies between the road and the sand dunes. It is only accessible with 4WD. Elliston is a small town that sits on Waterloo Bay. The café was closed and for sale, but the bakery also did coffee and we were not the only customers. While topping up my caffeine levels I read a leaflet in the bakery written by the Australian Wilderness Society about the proposals to drill for oil in the Great Australian Bight. The ocean here is much rougher than the Gulf of Mexico and an investigation into the capabilities of the government and the states to deal with a major oil spill concluded that they would not be able to. The report had been updated in August 2018 and said that while BP had pulled out, other companies were still persisting in trying to get permission. If we had more time, the 13.6K coastal trail and the sculpture trail might have been an option. 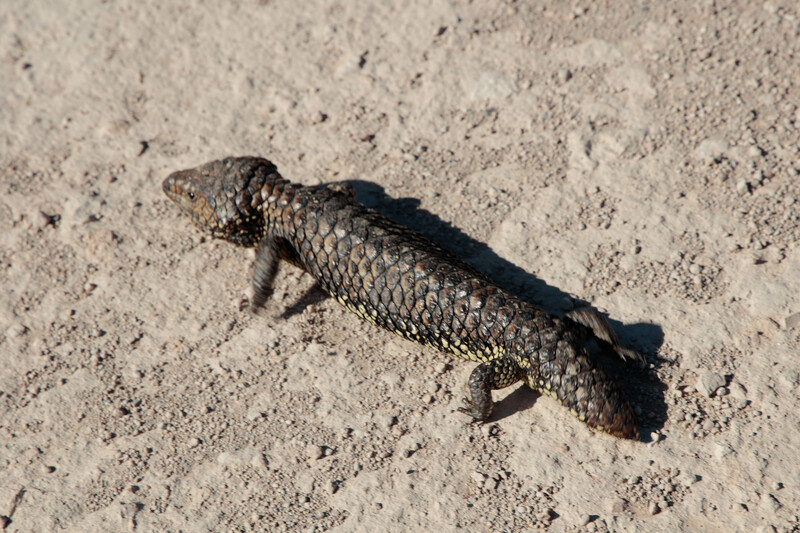 Today was Lizard avoidance day as several were crossing the road. I managed to get a shot of this Shingle-Back/Pinecone Lizard before he disappeared into the bush. We managed to avoid them all and a couple of kangaroos but saw a snake that did not make it. South of Sheringa we saw a side road signpost: ‘Nowhere Else Road’ which has to be the best yet. The road then runs between Lake Hamilton and the shore. Towards the southern end of the peninsula there are a number of lakes, the grass is greener and there are a few more larger trees around. The highway descends towards Port Lincoln after the turnoff for Coffin Bay. This is the largest town we have stayed in since we left the west coast. It has a population of around 15,000. 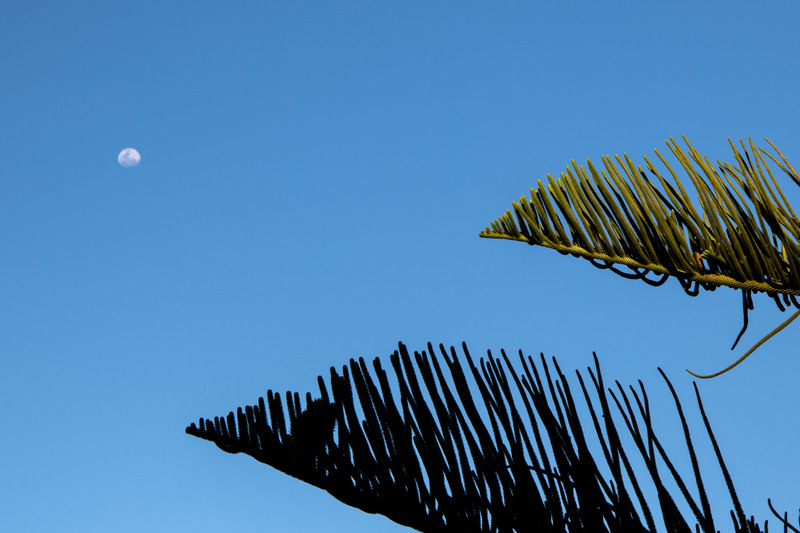 The main industry is tuna fishing: it has the largest fishing fleet in the southern hemisphere. Also known as the seafood capital of Australia, the town sits on Boston Bay which is three times the size of Sydney Harbour. 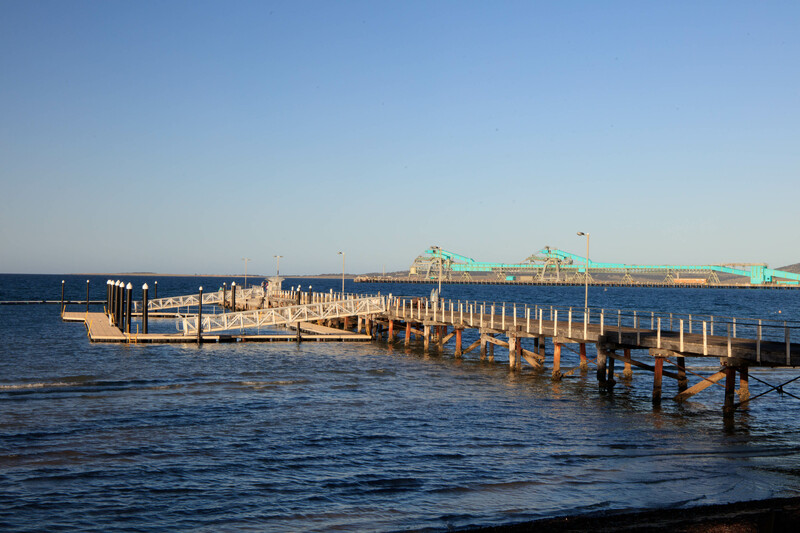 In addition to the swimming and fishing jetty on the esplanade, there is also a large Viterra mineral processing plant and commercial pier.